Bowling for Third and Fourth Graders! 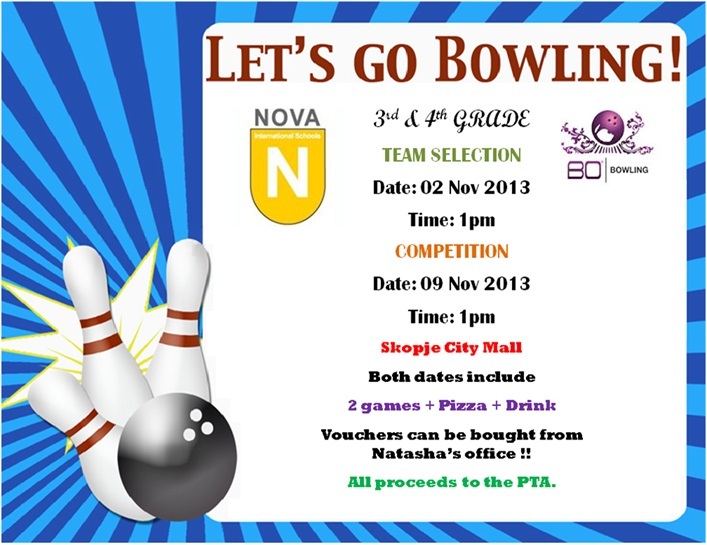 The PTA is happy to offer two Saturdays of bowling at Skopje City Mall. Mr. John Bycroft (daughter, Jessica in 3P) is organizing these events and will be the coach. Also planning Bowling for 5th and 6th graders in December.